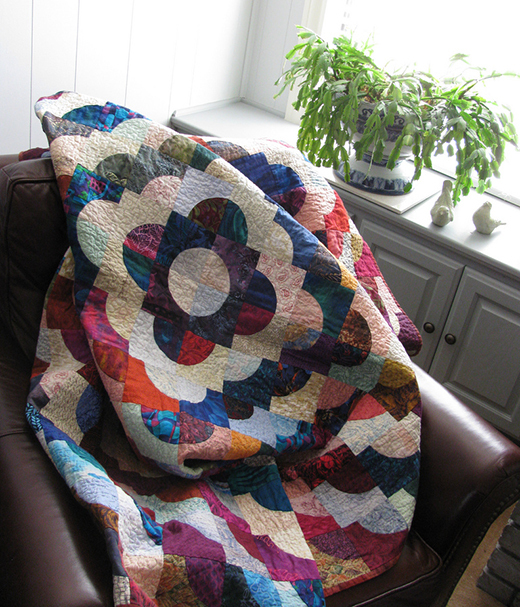 This Love Rings Quilt designed by Darlene C. Christopherson of Pellon Projects, A traditional quilt pattern with an arrangement of dark to light values providing the image of rings. The Pattern is available for free. "This quilt was made for my daughter upon her engagement. Now my second grandson cuddles up in it. It has always been a favorite quilt pattern of mine. This example is scrappy. The arrangement of dark to light values provides the graphic image of rings. "